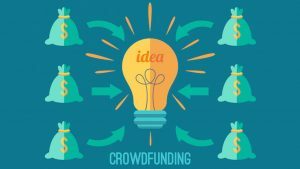 Welcome to the first instalment of what will be a two-part series of posts unpicking the basics of crowdfunding. In this post, we get to grips with crowdfunding for scale-ups, and take a look at some of the platforms that are available. In Part 2, we’ll be talking about how to launch a crowdfunding campaign, and the best practices for maximising results. If there’s one thing that’s almost universally true for all businesses, it’s that if they want to scale-up their operations, they are going to need funding to do so.